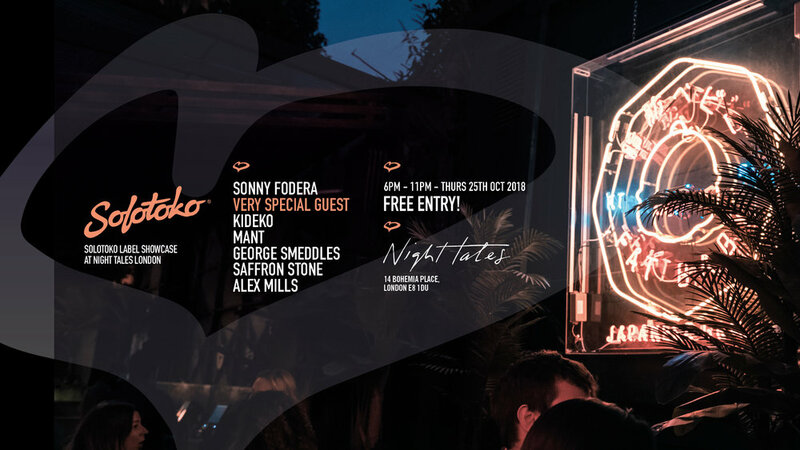 Following his forthcoming headline show at Village Underground selling out in minutes, Sonny Fodera has just announced an intimate label showcase party at Night Tales on Thursday October 25th. This free entry mid-week party will be hosted by Sonny alongside a huge line-up of guests from the Solotoko records family. All attendees for the event will also be eligible for exclusive early-bird tickets for Sonny’s massive headline show at Brixton Electric on Saturday March 9th 2019. Sonny Fodera is Australia’s biggest house music export and his distinctive groove driven sound has seen his profile skyrocket, selling out shows from Berlin to São Paulo, winning a legion of loyal followers. Night Tales occupies two railway arches in Hackney Central’s Bohemia Place and recently threw buzzing launch parties for Gorgon City & Octavian, plus hosts Skream for their Halloween event on Nov 26th. This will be a feisty midweek shindig that will set the tone for Sonny’s already sold out Village Underground date in Nov and epic headline show in Brixton in March.